Once they convert, offer good F&I products so customers keep coming back to service their cars throughout the vehicle's life. This could mean these people giving you a decade or more of continuous business. Here's five products and services you should consider. Imagine how much peace of mind you'll give a driver of a new or leased car when they know maintenance is already paid in advance. A prepaid maintenance program has become a new standard in many dealerships. To nurture more customer loyalty, this is the product to start with and build from there. What's most important is to make these plans as comprehensive as possible on the repairs you offer. All the main things like oil changes, tire checks, and tune-ups are essentials. Some quality plans expand into things like alignment checks, body repairs, cleaning and detailing, plus discounts on various vehicle parts. Take some time to study metrics on what your customers prefer over your competitors. 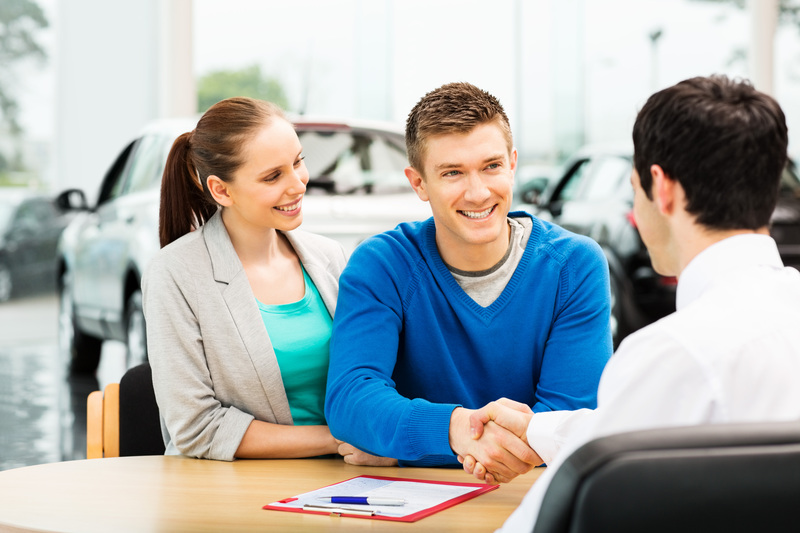 When customers lease cars from your dealership, they don't want expensive loans. Reworking your vehicle service contract so you make leasing more convenient will keep customers coming back based on trust. Many VSC's now offer more affordable contracts and include extras like comprehensive coverage. You should also offer wrap coverage, certified wrap coverage, and coverage for high mileage. The latter should be upped to 150,000 miles if most of your customers are extensive business travelers. Make it a goal to provide a fully insured auto warranty company by "A" rated insurance carriers. If you've never heard of paintless dent repair, it's time to add it to the list of things attracting your car buyers and leasers. In a time when bad weather is almost a certainty in any location throughout the U.S. or world, you need a good plan in place to protect the exterior of a customer's car. No one wants to drive their new car and discover dents and dings just weeks later due to a flash hailstorm. Look into the Dent Repair system that is the new process offering the ability to repair dents without creating harm to the car's factory finish. Take a look at a video that shows how this process works so you understand how fast and convenient it is. Even better is the dent repair is always done in your dealership, increasing the possibility of the customer having other maintenance done while there. In a dent and ding world, customers will likely be coming back to you often to keep their car's exterior looking pristine. Damage to car exteriors frequently happen by nature more often than from human beings, making environmental damage a certainty. Including an environmental protection plan is a must to keep customers coming back as often as they do for dent repairs. Keep in mind environmental damage can occur on the interior of a car just as much as the exterior. Damage from sun exposure or leaks can wreak havoc on upholstery or a car's dashboard area. Watch this video to show how environmental protection programs work and the repairs involved. Keeping on top of a customer's tires on a purchased or leased car will mean plenty of visits to your maintenance center. Tires are always going to need maintaining perhaps a couple times a year, depending on how much your customers travel. Give them a good tire and wheel protection plan, which should include replacements from road damage, tow service, and no deductibles. Contact us at Vanguard Dealer Services so we can provide these products to your new customers. We guarantee using these and our other training services will place your dealership into the forefront of success in the coming year.